With me, creating your portrait is so simple...I am the portrait photographer near you - so near I come to your home! Every portrait photograph that you see in these web pages has been photographed in a home or at a favourite place. You can see more examples of real client portrait photography in my Portrait Photography Gallery. During your portrait session, you will be taken through every step to capture each of you at your best. You are shown how to relax in front of the camera, and we will capture the real beauty within you all. You can relax knowing that the children are safe in their own space. They can come and go as needed and have easy access to their own toys, snacks, games and clothes. A few days after your session I return to your home with your portrait prints. The best portraits from your photoshoot will have been prepared - all fully edited, finished, printed and matted. There will be no ‘hard sell’ involved whatsoever. You just choose which photos that you love and want to keep in your beautifully crafted folio box. * I will go at your pace during your session and build your confidence - it will also be fun! I help people just like you create precious memories through. 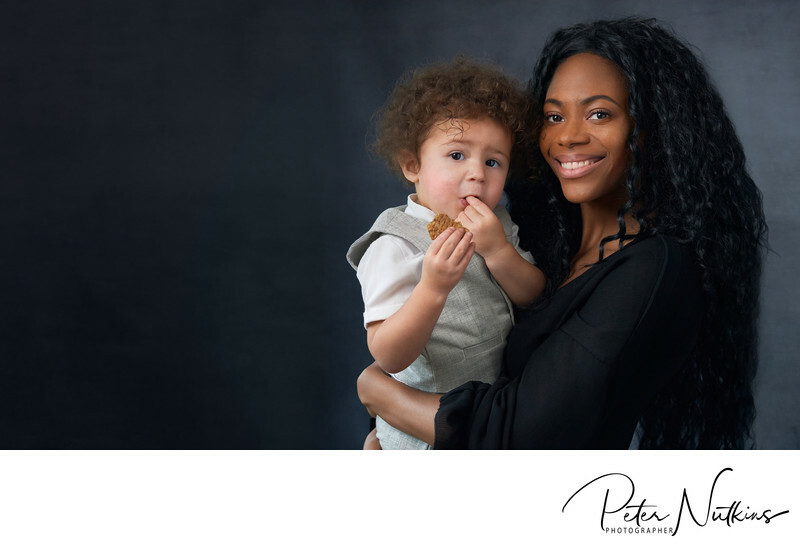 Portrait photography of you and your loved ones that demonstrates just how beautiful you and they really are. "I want to remember just how good I look and feel at this moment." 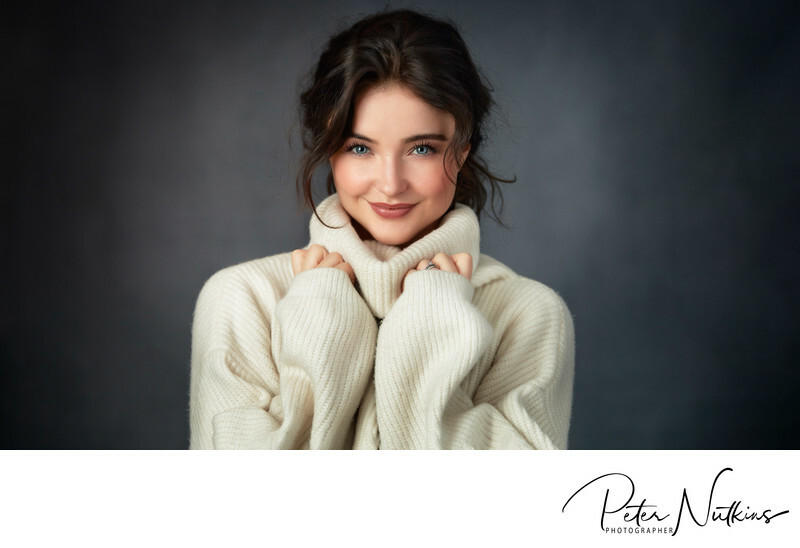 Schedule a free consultation with Peter to talk through what you are looking for, any concerns you have, and discuss what can be achieved in your home. "I want my children and grandchildren to remember me how I am right now." Are you looking for a portrait photographer near me? Then I really am the portrait photographer near to you ...I come to your home! I am a Derbyshire portrait photographer near to everyone...I travel accross the UK to people's homes to capture their portrait. Don't like having your photo taken? I know how you feel. You are searching for some way of remembering the important people in your life right now. 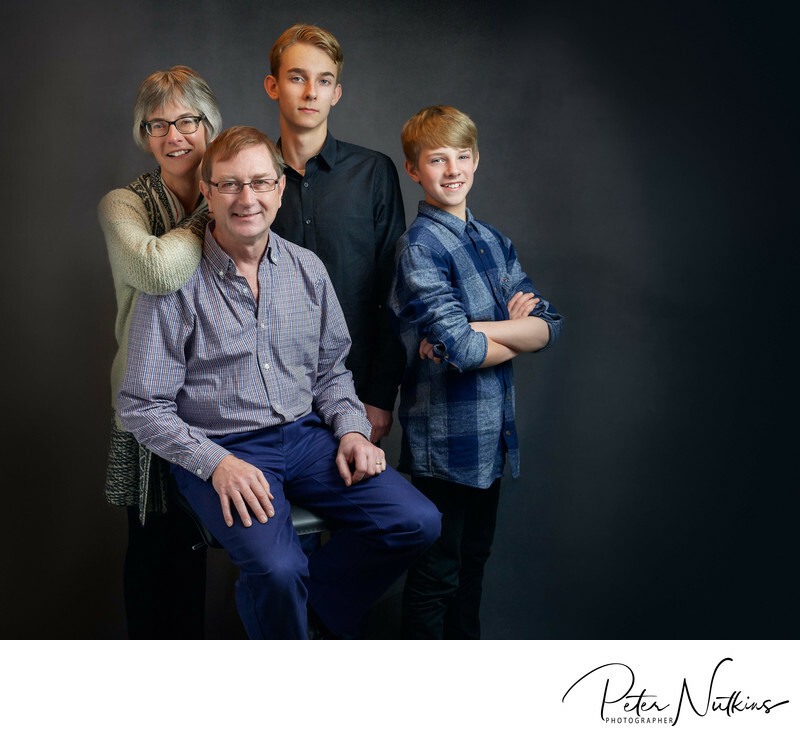 You want a portrait experience that helps you to remember your family as they are today. But you are concerned that you will look less in print than you feel in reality. But life is hectic. You do not have the time to shop around and going to a studio, out of your comfort zone, does not thrill you. So many of my clients have been helped to not only look amazing but feel amazing too. Yes, they have cried - but with the emotional release when they see themselves in print. Maybe for the first time...looking beautiful. There are more tears when they see the rest of the family looking happy, relaxed and, well, amazing too. What do you wear for a portrait session? The most important thing is to relax and enjoy having your photo taken! Easier said than done as most people do not like being in front of the camera. So here are a few tips I give to my clients before their portrait session. I hope these answers help you feel a little more relaxed before your portrait shoot. When we look at photographs, our eyes tend to go to the lightest and sharpest part of the image first. For your portrait we want your face to be lit well and in focus! In addition, what we wear can distract from our faces. Really bright colours not only draw our attention away, but they can also reflect unnatural hues onto our skin. The best clothes are the ones you feel the best in. If you think that you look really good in that cocktail dress then wear it. If those tweed trousers make you feel a million dollars then wear them. Clothing with pictures, writing or large logos unless the pictures, writing or large logos relate specifically to the photos. In other words, no Carlsberg tee shirts unless this photo is for a magazine story about binge drinking; no Disney shirts unless this family portrait is in front of Cinderella Castle. Loud colours, busy patterns, bold stripes, big checks, polka dots, tank tops, and clothes that are baggy–or too tight–all call attention to the clothes, not the wearer. Neon-coloured clothing is popular right now, especially in children’s clothes and shoes. Avoid neon if at all possible. It often prints an odd shade and reflects onto skin very easily. The basic rule is that attention is on you, not your clothes. Obviously, if you are doing a fashion shoot then the opposite is true! The best advice is SHE: Sleep, Hydrate, Enjoy!